I’ve heard it said that the sea finds what you did wrong; So with that in mind I set out to meet the sea. 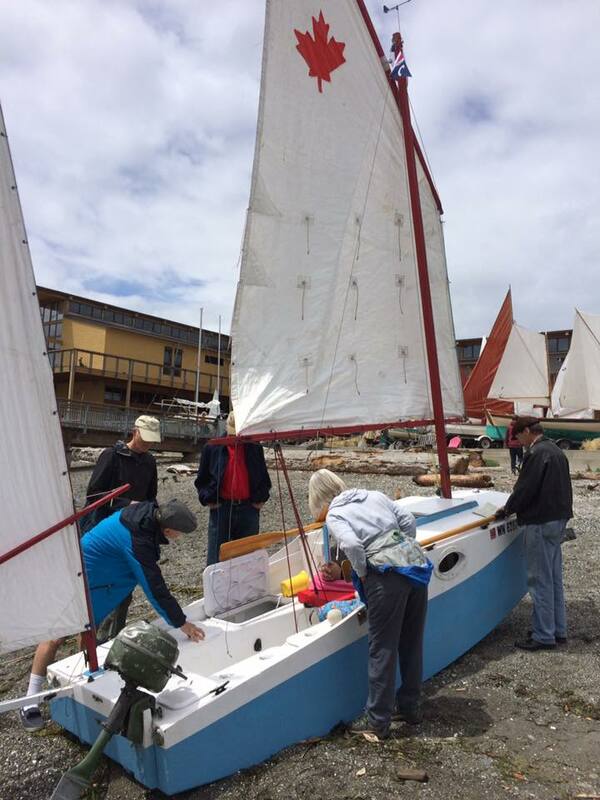 Last weekend, I sailed from Shilshole to Port Townsend as a shakedown trip for the R2AK run. I figured three days living on the boat would point out any problems with the gear I have lined up, my stowage plan and the equipment. As I laid out the plans, I started looking at the tides and currents. The currents are pretty much nonexistant south of Whitbey island in the central sound, but more north they are a force to be reckoned with. I figured I’d have to make it north of point no point by 4, when the current switched, or i’d be in for a long, slow trip. 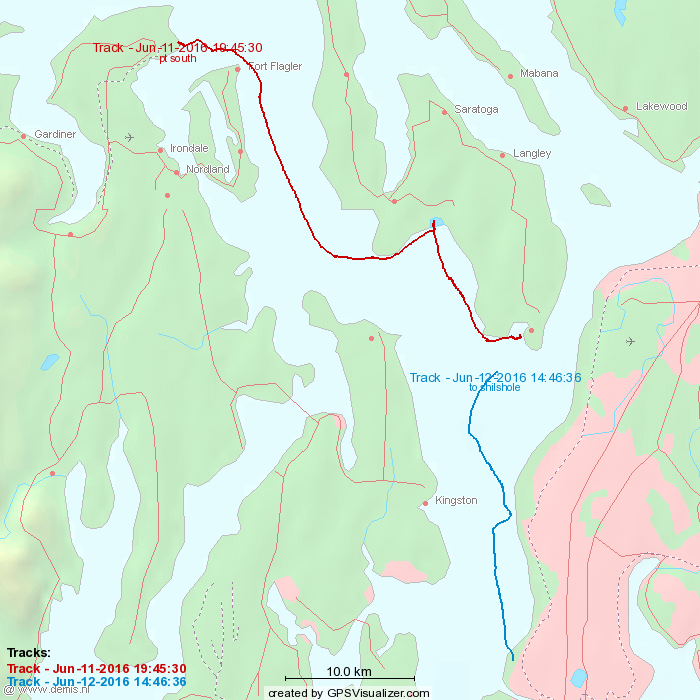 from there, I planned to get to Oak Bay and wait until 8:00 when the current shifted to the north, then make my way to Kilisut Harbor for the night. 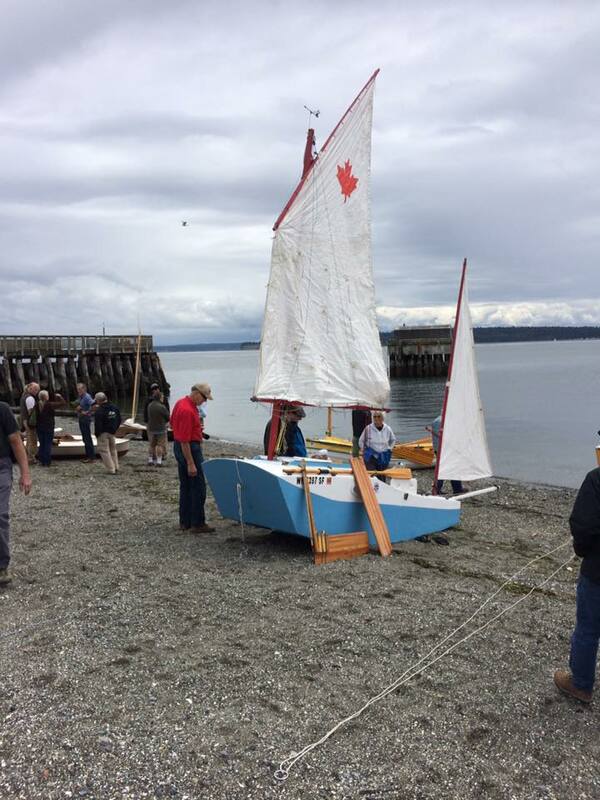 Pop over to Port Townsend for the Pocket Yacht Palooza in the morning, and then start heading south later in the day, planning to spend the night somewhere on the water before making it back to Seattle on Sunday. It was about 35 nautical miles each way, and an ambitious schedule. there was to be some sailing at day and night, and in more exposed waters with more currents than the central sound I normally sail on. in short, it was a good practice run for R2AK’s first leg, as that is about 35 miles as the crow flies. i’d get a chance to check my stowage plans, my gear, and fine-tuen the rigging with the help of a friend at the Pocket Yacht Palooza. Overall, it went well. The things I did right? The gear lanyard system I came up with proved to be less cumbersome than I had feared. Everything I have in the cockpit with me is clipped in, so even if I capsize I don’t loose my charts, or VHF, or any other essentials. The Ocean Rodeo Ignite dry suit combined with merino wool socks and an Australian merino wool union suit is unbelievable. i’ve never sailed for even a quarter as long in that boat as I did on friday and ended up less than twice as fatiuged as I did. I cannot stress enough how comfortable this made the trip. The things that i did wrong? The rudder needs a clip to hold it on. I need to pack more protein-type snacks. one pound of sausage sticks isn’t enough. I broke an oarlock. snapped the pin right off of it, and bent the other one. I broached, but recovered nicely. At night. In admiralty inlet. I got smacked in the head by the boom. Ouch. Beyond that, here’s the play-by play. I was fortunate to have winds from the south as I set off from Shillshole at 9:00, and I was on alternating downwind reaches all the way to Double Bluff. I made unbelievable time. I ended up clearing Point No Point at around 2 ish- well ahead of my set schedule. I headed west towards Oak Bay. North of Foulweather Bluff, the seas and winds picked up a bit, as I got wind from both the hood canal and the main channel. I pounded along, making excellent progress, and having a blast. However, Once I rounded Kinney point, the wind died down, then reversed directions. i slowly made my way across the bay, only to find that my GPS’s clock wasn’t corrected for GPS and I had missed he current switching in the Port Townsend Canal. Even though I had made far better time than i had hoped, i was half an hour after, not half an hour before the current revered. Trying to sail upwind into a 3 knot current was a laughable exercise. At this point, a Burger and a whiskey in a bar in Port Townsend started to sound much better than waiting four hours for the current to switch and a night anchored out, with an MRE for dinner. So I ‘cheated’. I dropped the outboard, and motored thru the channel. Even with pulling the rudder and daggerboard to decrease the wetted area, i was only making about 1 knot against the current, flat out. 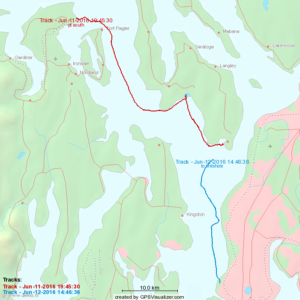 After I made it thru the canal, i tried ot sail to Port Townsend, but after a while gave up in the failing winds, and motored the rest of the way. I got in at 7; 35 knots in 10 hours. course made good, i averaged 3.5 knots. on my GPS track, i think my average was slightly over four knots. Phenomenal time, for a 12 foot box boat. Unfortunately, i managed to delete rather than save the first day’s GPS track. Once in Port Townsend, I pulled into the marina, and paid for a slip for the night. In the morning, I pulled around the breakwater onto the beach of the Northwest Maritime Center at lower high water, so that I’d be dried out on the beach for the show, and float free not long after the show when the tide came back in. As usual, it drew a crowd of onlookers and alot of questions. Once the boat floated free, I donned my gear and set sail, headed for Marrowstone Point. the wind got strong, and i reefed the main in to the third reef, only to let it out as the wind died down. I crossed the uneven seas of the tidal rip off the point, and headed southeast. The wind started to pick up. i had winds from the west, and waves o na 2-3 second interval coming from behind. I decreased sail to the second reef, and let the mizzen out a bit. I was sailing along- making between five and five and a half knots. This stretch was one of the more perilous stretches of the voyage. I got to practice putting in and shaking out reefs in less than optimal conditions. i had to keep my wits about me; durign this stretch si when the following seas combined with a gust caused the rudder to loose some bight, and broach the boat. thankfully, the boat handled it surprisingly well; i think aided by the hard chines on the side of the hull. i recovered it without incident, but it was an experience to remember and watch out for. i passed bush point around 9 or 10 pm, and kept making progress south. the wind slowly died, and i found myself tired, and wanting to pull in for the night. lacking an obvious place to pull in, I decided to turn and head for useless bay, where the chars showed a small inlet into a salt march i figured i might be able to get a little shelter out of. Unfortunately, in the dark, i couldn’t find it, so i turned back down south, planning to make for Cultus Bay. Halfway there, the motor died. I checked and I thoguht there was still gasoline however, it was about 2:00 AM by this point, so i’m not surpized that the next day when I got home I found I had been mistaken and i was merely out of gasoline. Even though i had an extra gallon and a half, my mis-diagnosis made me count out the motor for the rest of the trip. I sailed on, slowly, in calm waters. making a knot, sometimes two in the dark. just past scatchet head, the wind died nearly completely, so i dropped sail, and began to row. I kind of hate rowing. So much work for so little progress. I’d rather sail any day. however, after getting almost to the entrance to Cultis bay, I was glad I had rowed, and glad I had misdiagnosed the motor. After an hour or so if rowing, I snapped off one of the oarlocks. i’m glad i discovered the set I had were weak now, and not on the R2AK heading into Victoria Harbor. I was reduced to sailing in a whisper of a breeze again. It was nearly 4 am. I was exhausted and my eyes were starting to play tricks on me. Thankfully the grey of dawn was starting to become apparent. I had voyaged nearly ten hours at this point; I had been awake for nearly 24 hours. I needed to rest. I managed to make landfall just off the channel into the inner part of cultis bay. without a motor, i didn’t want to try and work my way all the way into the inner bay, but i also feared winds from the south in the morning so i didn’t want to anchor in an exposed anchorage. I landed on the beach, not far from a little hook of land that would shelter me from the south. once again, i was thrilled ot have the drysuit, as i was able to hop out int othe knee-deep water and walk the boat along the shore along the hook, finding small little cove with knee deep water. At 5 am, I set the hook with my foot in the sand/mud mix that proved excellent holding. with the rising tide, and guessing from nearby tide stations, I figured that the water would rise tomorrow and I wouldn’t end up high and dry. I hopped back aboard, removed my drysuit, and slipped into my berth. I’d never been so glad to have the cabin on the boat. I set an anchor alarm on my phone, and went to sleep. I woke around 9 or 10; further study revealed that i would indeed be best to wait till around 2 pm , in hopes the outgoing tide would help flush my now motorless and oarless sailboat out of the bay. the plan worked, and i managed to sail off the anchor, from 15 feet off a leeward shore, in 2 feet of water. I couldn’t even get the daggerboard all the way down without grounding at first. A few tacks later, and I found myself out of the bay, and the winds shifted from the south to the north. I was on a downwind reach again. The rest of the trip back was pretty uneventful. I had the wind die down a bit off kingston, so I checked the Wa State Ferry Weather page and found that there were better winds to be had more to the west of the Kingston/Edmonds crossing, so I jogged over there, then headed back down o na straight run to Shilshole. Off Golden Gardens, i propped George, my first mate and sock monkey up so the kids on the beach could point at him looking out of the companionway. I dropped the main, and managed to sail right up to the boat ramp on the mizzen alone for a perfect landing where i had started from, three days prior. All in all, I consider it a successful shake down and a good trip that I pushed myself a little on. I inspected the oarlocks and found that while I had broken one, I had bent another so i will need to address that issue before the race. I have some minor details to sort, but Yes. i will be ready. My response? ‘George got seasick”. Her reaction was priceless.